Tickets are now on sale for a very special performance by 20 time GRAMMY winner Pat Metheny in Hull as part of the 25th Hull Jazz Festival. Metheny will open the Winter edition of the Hull Jazz Festival on November 11th with a performance at Hull City Hall. He will be joined by his current quartet which features Linda Oh, Gwilym Simcock and Antonio Sanchez, as well as performing musical highlights of his extensive career in jazz. With the release of his first album, Bright Size Life, in 1975, he reinvented the traditional jazz guitar sound for a new generation of players. Over the years, he’s performed with artists as diverse as Steve Reich to Ornette Coleman, Herbie Hancock to David Bowie. 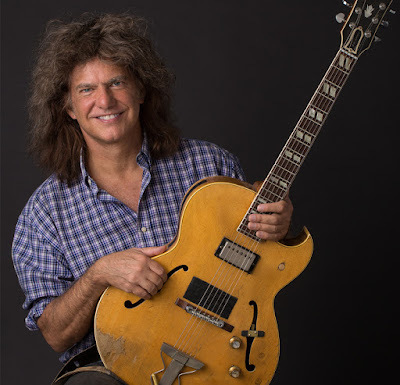 Recently inducted into the Downbeat Hall of Fame as its youngest member, and only the fourth guitarist (joining Django Reinhardt, Charlie Christian and Wes Montgomery), Metheny will present a range of music from throughout his career. This concert is part of a year long programme of events to celebrate Hull as the UK City of Culture 2017. This will sell out so book quickly to ensure you get a ticket. Tickets cost from £25 to £35 and there is a limit of 6 tickets to be bought by each person. For more details and book tickets, see this event page and the Hull Jazz Festival website.